These titanium sleeper earrings are hypoallergenic. 100% Grade 1 titanium, our earrings are suitable for the most metal sensitive ears. The titanium hoop measures 15mm in diameter. The titanium wire is 20 gauge (0.81mm), light weight and comfortable. 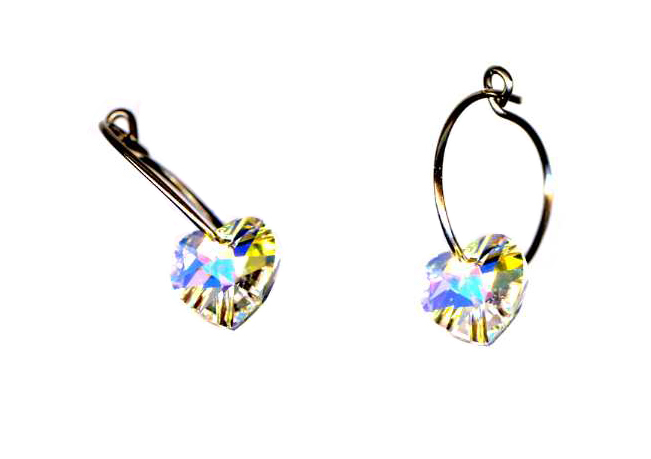 The Swarovski crystal heart dangle is 10mm. These earrings are handcrafted in the USA.